Coffey's Pub, Emmet Road, Inchicore on Saturday July 23 at 8.00pm. All are welcome. The book contains 293 pages of information on the area, including 218 photographs (19 colour plates) a colour fold-out of Keogh Square in 1967, a list of tenants who lived there in 1945, researched material from the newspaper archives, including details of the 1930s' tenants' strike and of the numerous tragic drownings that occurred in the 1940s. There are also many hilarious anecdotes from former residents, including transcripts from taped interviews. 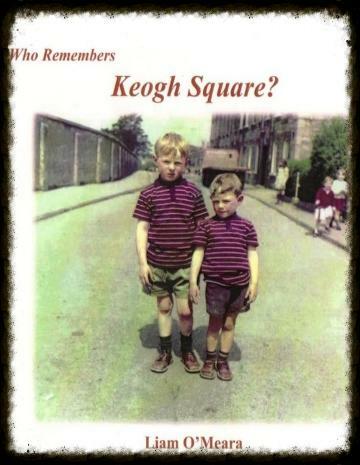 This book is a must for anyone with connections to Keogh Square or who is interested in the social history of the times, both in Inchicore and the wider Dublin area. Copies of the books may be purchased on the night.